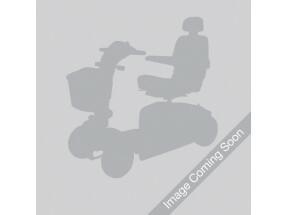 The Wakefield store is one of the most recent additions to Eden Mobility. Located in the heart of Wakefield City Centre on Westgate, also known as “Little Westgate” We are just 50 metres from the Ridings Shopping Centre entrance and the famous Wakefield Cathedral. Come on down to Eden Mobility in Wakefield today to see our huge range of mobility scooters, powerchairs, mobility aids and our live stairlift demonstration. Customer parking is available at the rear of the shop behind the Multistorey Car Park on Rodneys Yard. We have 5 used mobility scooters that are available to view at our Wakefield store. If you are currently looking into purchasing a mobility scooter then come and see the range available at Eden Mobility in Wakefield. We have a variety of small to large scooters available. Powerchairs are an excellent solution for anyone who is disabled or elderly. They're like a wheelchair but are electronically powered and can be moved using a joy-stick. View our full range online or in store today. Eden Mobility have a selection of rise and recline chairs available at the store in Wakefield. Come along to 25a Westgate today to see them for yourself. Our friendly members of staff will be able to help you with any additional information that you require. If you are an elderly or disabled individual who can't/struggles to get up or down your staircase, a stairlift could be the solution. At Eden Mobility, we are able to supply and install both straight and curved stairlifts (new and used) into almost any type of staircase. Come and visit our stairlift demonstration in Wakefield today to see how they work for yourself. Our selection of wheelchairs are high quality and durable products. Come and see the full range for yourself today online or in store.